At Heaven’s Gain Ministries, we strongly recommend the Saline Bath Preservation Technique for your deceased baby. This requires a vessel. The handling and burial of a miscarried or stillborn baby often brings with it some special challenges. The baby’s skeletal system is not fullydeveloped, and so the baby may not retain his/her natural form after birth. The baby’s body is very fragile, and the skin may be sticky to the touch. If still in the womb, the baby would be peacefully floating in his/her own amniotic fluid. Our vessels allow the baby to be suspended in the natural state of water as nature intended, as opposed to being completely exposed. The use of the vessel filled with water gives the body of the baby a womb-like environment. We recommend a saline solution 0.9% saline or 0.9% contact solution, to “preserve” the baby by slowing down the deterioration process by a using this natural preservative. We also recommend that families place the baby in a cold not frozen place when not viewing the baby to slow the deterioration also. These techniques can be used for a couple to a few days until burial. Often times a miscarried baby does not look exactly as expected from the baby development pictures. When placed in a vessel with a combination of distilled and saline water, babies usually return to his/her naturally beautiful state for that stage in pregnancy. This change in appearance allows other children and family members to view the baby while keeping the baby’s body safe. Also, the clear vessel provides a wonderful opportunity to take beautiful pictures. Placing your baby in the womb-like environment of the vessel, and wrapping the bottle with a blanket allows family members to cuddle and rock the baby without worrying about skin breakdown. If you are uncomfortable burying the baby in the vessel, it can simply be used temporarily to help preserve your baby thus improving his/her appearance in and out of the water. We carefully selected vessels for our various caskets according to the baby’s age and size. This is why we ask the baby’s age/trimester. Currently, we only have vessels that fit babies up to 28 weeks. 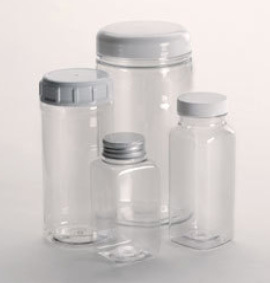 Vessels/bottles are included with caskets up to 20 weeks. If you wish to use a vessel after 20 weeks, please specify that in your order. Thank you for recommending the vessel. I must say, I was amazed at the difference it made in our sons appearance. When he was floating in the solution, I could see his little fingers and toes. They moved a bit as the water flowed between them. It was so much easier to see the details when he was in the water. He just looked at peace, as I imagine he did in my wife’s womb. Salt is a natural preservative and it has been used for preserving for thousands of years. The specific 0.9%(m/v) NaCl is recommended. Too much NaCl (hypertonic solution) will cause human cells to shrink, crenation. Too little NaCl (hypotonic solution)can cause cells to swell, hemolysis. That is why we recommend 0.9% m/v. © Copyright | Heaven's Gain Ministries | All Rights Reserved.